their supply chains. This summer she is interning at the USDA Foreign Agricultural Service (FAS). What are you excited to learn about during your internship this summer? admitting! This summer, I am immensely excited to explore, strengthen, and develop my skill set within the public service sector and beyond. I aspire to add more value, practicality, and versatility to my skill set so I can expand my capacity in whatever role I assume. By the end of my internship, I aim to be able to identify and articulate my strengths and weaknesses and discover if public policy can be a potential career path. I am excited to begin my career development journey in D.C. with the support of my CAPAL cohort! On a side note, I am also thrilled to see if D.C. will be the city that will sway me to leave California. Why is public service important to you? As someone who grew up in a low-income minority community, my family was heavily dependent on food stamps, government housing, medicare, and other forms of social welfare. I, along with other community members, struggled to overcome the addition barriers established by our circumstances. When individuals and communities are continually challenged by inequities in all facets of life, it is an understatement to say that poverty can impede one’s goals, perspective, and development. Yet, what makes me so proud of my circumstances is that my community and I are united by the struggles we face and our persistency to overcome them. This solidarity motivated me to take on a proactive role in building community empowerment, resiliency, and sustainability for communities like mine. I realized that my circumstances should not impede me, but propel me to be a leader in diminishing social, economic, and political inequities. I want to uplift everyone around me so that their aspirations and ambitions will not be defined by their situation. This is what I believe public service is and this is the root of my passion. What are the projects that you’re working on this summer? This summer, I am an international trade policy intern for the Multilateral Affairs Division of the Office of Agreements and Scientific Affairs at USDA’s FAS. As the only intern in my division, I am able to have a large portfolio that enables me to gain experience and knowledge in a variety of projects ranging from policy briefs to budget analyses. I have assisted in the creation of two policy briefs that prep our Under Secretary about current U.S. positions and promoting U.S. trade interests, specifically the executive meetings for Codex and the Inter-American Institute for Cooperation on Agriculture (IICA). I spearhead the budget analysis of a food safety program — jointly budgeted by the World Health Organization (WHO) and the Food and Agriculture Organization (FAO) – to examine U.S. and member-state contributions within a 10 year span. I created a database of sustainability programs established within different agricultural industries and also created a database of U.S. positions on international agreements and initiatives. What is something that people usually don’t expect or know about you? Fun fact about me is that I have trypophobia, so strawberries really freak me out. I’ve never eaten a strawberry in my life! What I do in my spare time is really dependent on my mood! I love to cook, try new foods and drinks with my friends, explore new places, exercise, and relax (aka watch Netflix). Meet all of our CAPAL Scholars & Interns here. Sharon Le is a rising third-year student at the University of Virginia, double majoring in Psychology and Spanish, on the Pre-Law track. 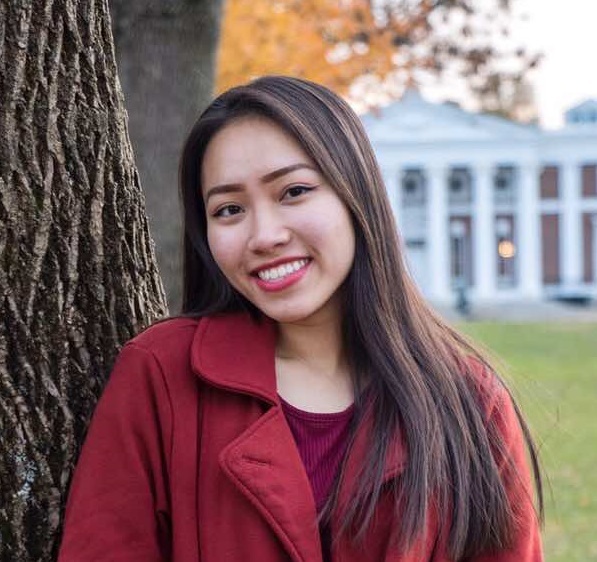 Sharon served as the External Vice President for the Vietnamese Student Association (VSA@UVA) the past year, and is also involved in Phi Alpha Delta – the International Pre-Law Fraternity, and the Alcohol and Drug Abuse Prevention Team at the University. 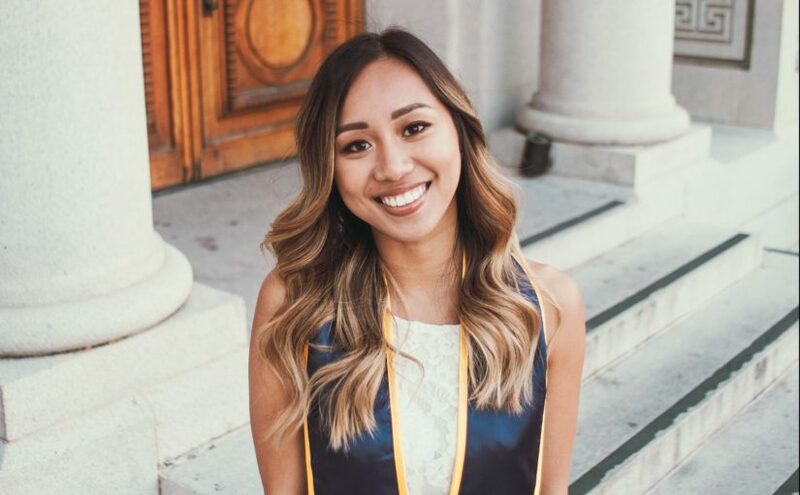 She was greatly exposed to the Asian Pacific American representation not only through her involvement with the Vietnamese community in Northern Virginia with VSA but also through her background – having grown up in Vietnam and moving to America in high school. Sharon hopes to promote Asian Pacific American leadership with her commitments and to give the community a bigger voice in the country.